Our keynote speaker Peter Guber is the chairman and CEO of Mandalay Entertainment and the Co-Owner of the NBA's Golden State Warriors. With a 40 year career as an executive and entrepreneur in the entertainment, communications and sports industries, Peter provides market leaders with the tools to lead more persuasively, manage more effectively, inspire greater creativity and foster deeper collaboration. Peter Guber is the Chairman and CEO of the multimedia Mandalay Entertainment Group. Prior to Mandalay, Guber was Chairman and CEO of Sony Pictures Entertainment, Chairman and CEO of Polygram Entertainment, Co-Founder of Casablanca Record & Filmworks as well as President of Columbia Pictures. Guber produced or executively produced (personally or through his companies) films that garnered five Best Picture Academy Award nominations (winning for Rain Man) and box office hits that include The Color Purple, Midnight Express, Batman, Flashdance and The Kids Are All Right. Peter Guber is the Owner and Co-executive Chairman of the NBA franchise, the Golden State Warriors. He is as a weekly entertainment and media analyst for Fox Business News and a full professor at UCLA. He serves on the board of directors of Demand Media and is Co-Founder of Geek Chic Daily, which merged with Nerdist Industries to become a multi-platform creator of genre and popular-culture content. Nerdist Industries is a next generation media company which consists of a popular blog at Nerdist.com; a top five comedy/popular culture podcast on iTunes, the Nerdist Channel, a YouTube-financed premium-content channel that features celebrities and hallowed brands, and an upcoming television show on BBC America. Peter Guber is a noted author for works which include “Inside The Deep” and “Shootout: Surviving Fame and (Mis)Fortune in Hollywood.” Recently, Guber wrote the cover article for the Harvard Business Review titled,” The Four Truths of the Storyteller” and has also authored op-ed pieces for the San Francisco Chronicle and the New York Times. In March 2011, Guber released his third book, Tell To Win – Connect, Persuade, and Triumph with the Hidden Power of Story, which instantly became a #1 New York Times bestseller. 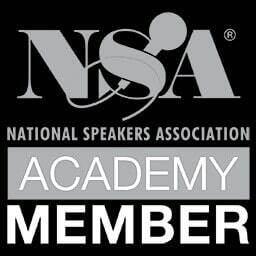 In this, often hilarious, highly entertaining, and always on point speech, audiences will be energized and motivated by someone with first-hand experience to know that it ain’t over until it’s over and that everyone has the potential to survive misfortune in their industry and generate sweet success. Today everyone – whether they know it or not – is in the emotional transportation business. More and more, success is won by creating compelling stories that have the power to move partners, shareholders, customers, and employees to action. Simply put, if you can’t tell it, you can’t sell it. Tell to Win shows you how to do both. 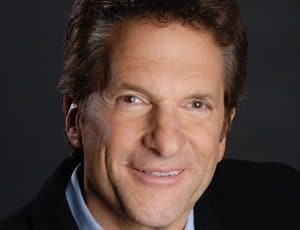 Peter Guber, whose executive and entrepreneurial accomplishments have made him a success in multiple industries, has long relied on purposeful story telling to motivate, win over, shape, engage and sell. Indeed, what began as a knack for telling stories as an entertainment industry executive has, through years of perspiration and inspiration, evolved into a set of principles that anyone can use to achieve their goals. The ability to tell a purposeful story well is a highly powerful and vastly underutilized professional business tool. It is indeed the secret sauce that can propel your success – whether you are an executive, entrepreneur, sales manager, marketing & communications expert, artist, consultant, inventor, or HR professional. Unfortunately, by the time most people have entered business, stories, as professional tools, have been dismissed as too soft or suspect and have been replaced by soulless bullets and forgettable data. Yet, only stories and their telling can create the emotional experiences that make the important information embedded within the story memorable, resonant and actionable. Takeaways: Learn where to find stories; what type of story works best for you; how to get your audiences’ attention and intention; the most successful story goals; when to drop your “script,” the power of turning “me” into “we,” the secret of relinquishing control of your story and much more. The rapid changes reshaping business today requires leaders who stay ahead of the curve, embrace uncertainty, overcome FEAR (which Peter Guber defines as “False Evidence Appearing Real”), and take informed risks by “flying in the red zone” where failure lurks, but a greater opportunity horizon lies. Guber credits much of his tremendous business success in volatile times to heeding these navigational stakes in not one, but five different industries – from blockbuster, critically acclaimed and award-winning movies like Rain Man, Batman, Gorillas in the Mist and The Kids Are All Right, to owning among the most successful professional minor league baseball teams and stadiums (and now, as owner and co-executive chairman of the NBA franchise, The Golden State Warriors, is in the process of transforming this team under extremely uncertain conditions), to finding, investing in and growing cutting edge new media companies (such as Nerdist Industries/Geek Chic Daily, Mandalay Digital Group and Demand Media), to locating, developing and selling highly profitable real estate ventures, to holding a professorship at UCLA for more than four decades where his highly popular courses consistently have waiting lists. Be engaged by a creative entrepreneur with the demonstrated success to speak from first person experience on surviving and thriving in uncertain times. How do the most successful companies and leaders generate ideas, unleash the creative talent of their people, move innovative thinking throughout their organization overcoming resistance, and have an accelerated time to market that leaves competitors in the dust? Peter Guber draws from his four decades of successes in the creative industry of Entertainment, innovating on all sides of the food chain, from working with creatives, to corporate, to partners, vendors, and audiences; in addition to leading or investing in cutting edge early stage companies like Demand Media (where he’s on the Board of Directors) and Nerdist Industries/Geek Chic Daily; as well as reinventing sports teams and stadiums in NBA basketball, baseball and hockey to share first person stories based on his demonstrated successes to provide the tools to change your Monday. Be motivated by a masterful story teller who will ignite and incite the culture of innovation and the tools to execute on it in your organization.